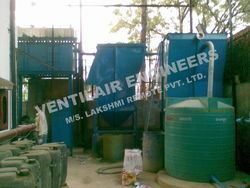 Ventilair Engineersis a leading manufacturer supplier of Industrial Effluent Treatment Plant In Delhi. We have already installed 700 waste water treatment plants for all over india abroad. Effluent Treatment Plants or ETPs are used to purify water and remove any toxic and chemicals materials in pharmaceutical and chemical industries. Our ETP unit for Industrial works aid in protecting the environment from toxic waste. ETP helps in removing organics, dirt, grit, toxic, non toxic materials, pollution, debris and polymers. Evaporation, drying and other techniques such as centrifuging and filtration are used for effluent treatment. ventilair engineers is a leading manufacturer supplier of Acids And Alkali Effluent Treatment Plant. 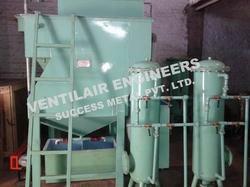 Ventilair Engineers have provided effluent treatment plant for various type . we are offering this type of etp . we have already installed etp for acids and alkalis industries like indus overseas/ stoneman craft for season laundry laxmi remote etc. we recommend physico-chemical method for Acids and alkalis can usually be neutralised under controlled conditions. Neutralization frequently produces a precipitate that will require treatment as a solid residue that may also be toxic. In some cases, gases may be evolved requiring treatment for the gas stream. Some other forms of treatment are usually required following neutralization. This unit is designed and installed for M/S. LAXMI REMOTE PVT. LTD. by Ventilair Engineers. "Ventilair Engineers" is a leading prepare & of Complex Organic Chemicals Effluent Treatment Plant industry in India. 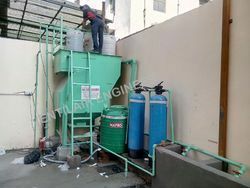 ventilair engineers is a leading manufacturer & supplier of effluent treatment plant Ventilair Engineers have provided effluent treatment plant for various type . we are offering this type of etp . we have already installed etp for acids and alkalis industries like Indus overseas/ stone man craft for season laundry & laxmi remote etc. we recommend physio-chemical method for Acids and alkalis can usually be neutralized under controlled conditions. Neutralization frequently produces a precipitate that will require treatment as a solid residue that may also be toxic. In some cases, gases may be evolved requiring treatment for the gas stream. Some other forms of treatment are usually required following neutralization. Ventilair Engineers is a leading manufacturer supplier of Physico-chemical treatment. Oil and Grease Tank has the installation in line with the design criteria ofState Pollution Control Board. Ventilair Engineers is a leading preparer of Physico- Chemical ETP Plant. Biological Treatment The ratio of COD : BOD is favorable for applying biological method of treatment preceded by some from of pretreatment such as flow equalization and oil and grease removal. Physico-chemical treatment of wastewater focuses primarily on the separation of colloidal particles. This is achieved through the addition of chemicals (called coagulants and flocculants). These change the physical state of the colloids allowing them to remain in an indefinitely stable form and therefore form into particles or flock with settling properties. E.T.P unit Oil and Grease Tank has the installation in line with the design criteria of State Pollution Control Board.